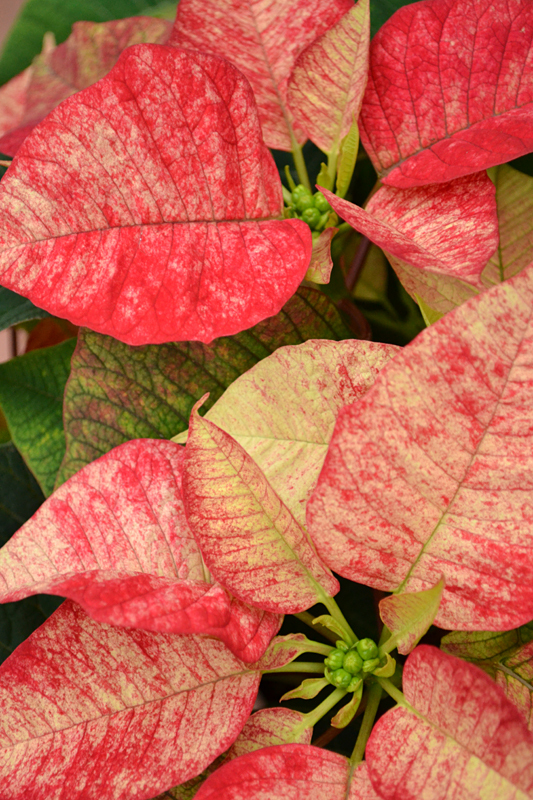 You can enjoy your poinsettia plant for weeks or even months if you care for it properly. If the plant is in foil, take the foil off, water the plant at the sink, let the excess water drain out of the pot, then set the pot back in the foil. You don’t want the pot sitting in water, he explained. Keep the plant moist; don’t let it dry out completely between waterings. But again, don’t overwater. 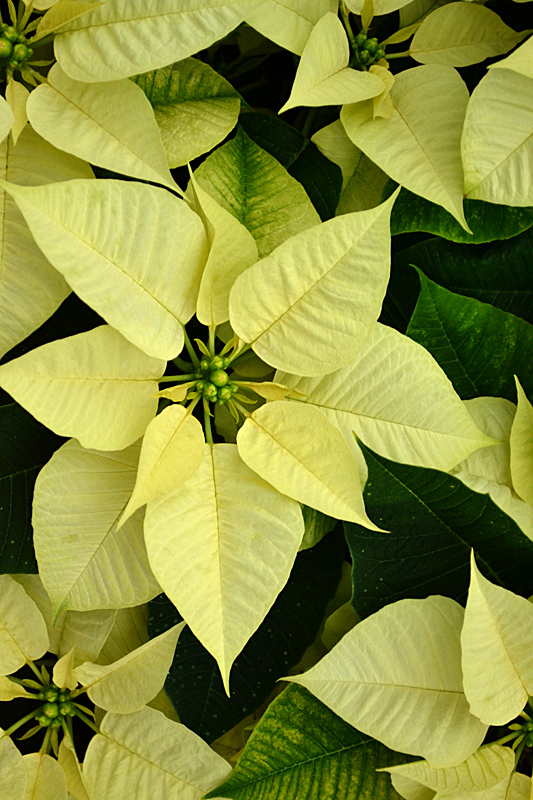 “The majority of people wreck their poinsettias by overwatering them,” Yadon said. Some people who take good care of their poinsettias will have beautiful plants into March and April. I’ve kept some alive through the summer, but they looked spindly. And even if you can keep the plant alive until the following year, it’s really difficult to get poinsettias to rebloom, Yadon said. So while it’s possible to keep a poinsettia plant alive for a year, most people enjoy poinsettias as if they are cut flowers– They’re happy if the poinsettias look nice throughout the holidays. Yadon admits that he’s one of those people. At home he’ll water poinsettias the week before Christmas, then stop watering them. Place your poinsettia in a well-lit location, but not in direct sunlight, he said. You also don’t want it too warm, so avoid setting it close to a fireplace, wood stove or heat register. If your plant loses a few leaves, don’t worry, Yadon said. That’s normal. It won’t affect the look of the plant too much. But if you lose a lot of leaves, you’re probably watering too much, he said. 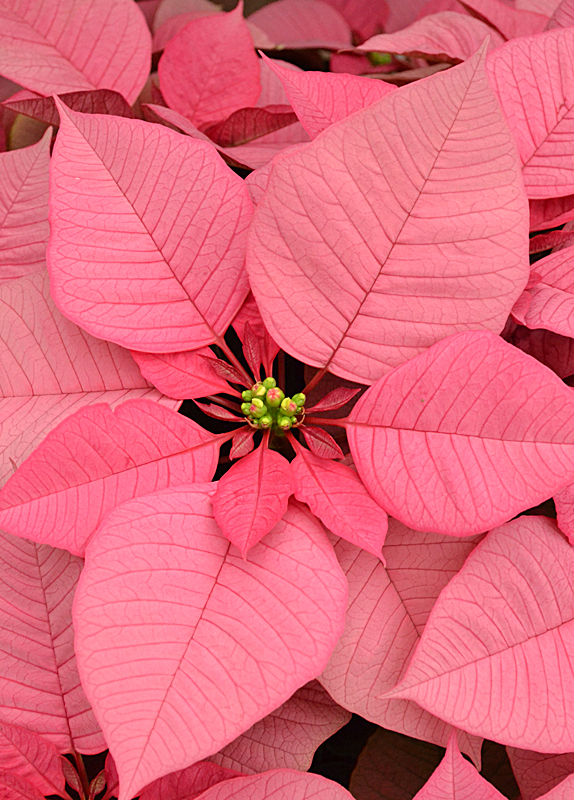 While you can enjoy poinsettias in your own home, many people like to give them as gifts. 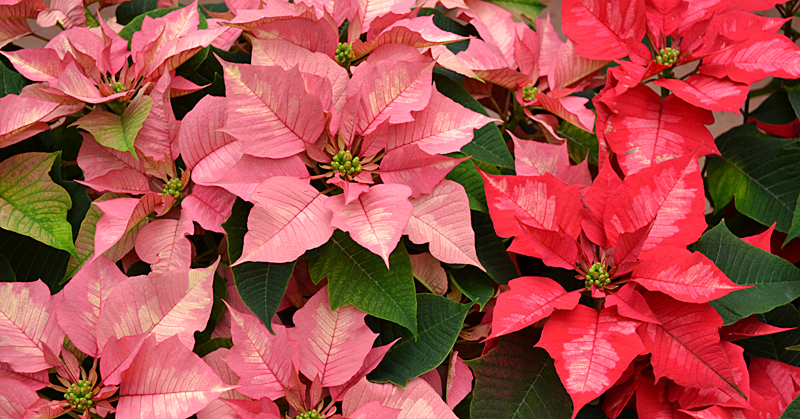 Mischler’s is offering free delivery of poinsettias in Mischler’s greater Buffalo delivery area if you place your order by Saturday, Dec. 13 for free delivery by Wednesday, Dec. 17. 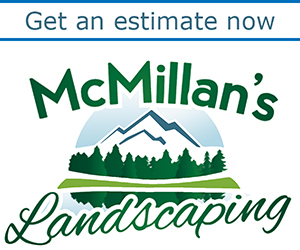 Call 632-1290. Mischler’s grows their own poinsettias. They are offering three new varieties this year: ‘Sparkling Punch’, which is light pink with cream marbling; ‘Glace Early’, which is white, and ‘Premium Red’, which is a new red. ‘Sparkling Punch’ is a sister to the darker pink ‘Ice Punch’, which is one of Mischler’s most popular varieties. A lot of people like white varieties. A variety called ‘White Star’ has been the standard for years, Yadon said, but he likes the new ‘Glace Early.’ As the name indicates, it develops a little earlier. “It’s very pretty and has nice dark foliage,” Yadon said. Yadon noted that white poinsettias aren’t a true white. ‘Glace Early’ is the color of a potato chip, which is whiter than other varieties. Red is the most popular color in poinsettias– about two-thirds of the poinsettias they sell are red– and Yadon tries a new red each year. ‘Premium Red’ has large bracts that are a nice, deep red, which is difficult to capture in a photo. 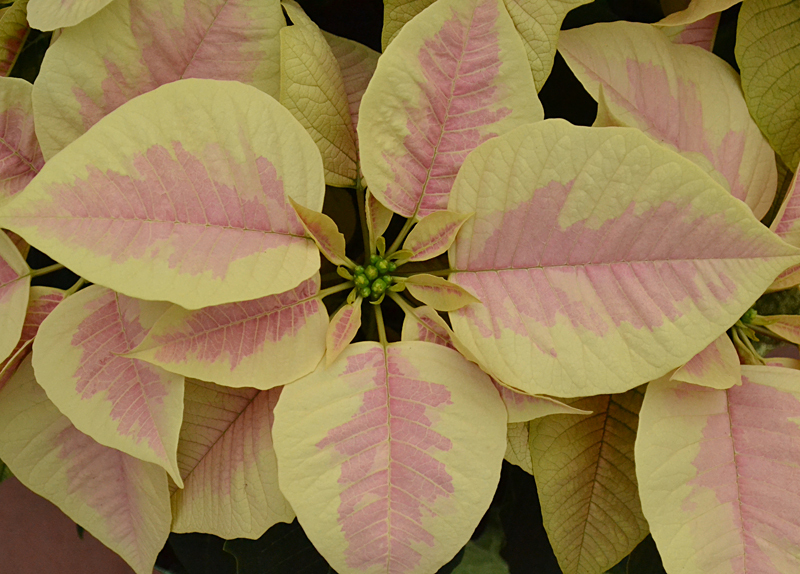 What we think of as flower petals on a poinsettia aren’t petals; they’re a specialized leaf called a bract. The true flower is the part in the center of the bracts. Tip: If you want a poinsettia that will last a long time, don’t buy one where the flower is open, Yadon said. The flower should look like little green balls. When those open up, the plant will begin to decline. While he likes trying new varieties each year, it means he has to stop growing other varieties to make room for the new ones. “It’s always tough to let one go,” Yadon said. One variety that he started growing about two years ago and continues to be popular is ‘Picasso’. They’re speckled and look as if they’ve been airbrushed. Poinsettias are so beautiful. I wish they could grow in the garden. Linda, yes, poinsettias would be pretty in the garden. My sister had hers in pots outside in the summer and they were still looking pretty good. Connie, like you just commented, my cousin had them in bloom mid-May last year. I never posted that photo, but it really is amazing to see them out of season as fresh and red as just from the greenhouse. They were outside on her porch in PA.
Donna, I was able to get my poinsettias to survive, but they didn’t look fresh and red. I always thought it was because I don’t have much light in my house, but maybe I was overwatering them. Or maybe it’s just really difficult to do. I always plant my poinsettia in the perennial garden in spring – it makes a lovely addition & it’s fun to still be seeing a poinsettia in the middle of summer! Vicki, that’s so cool! 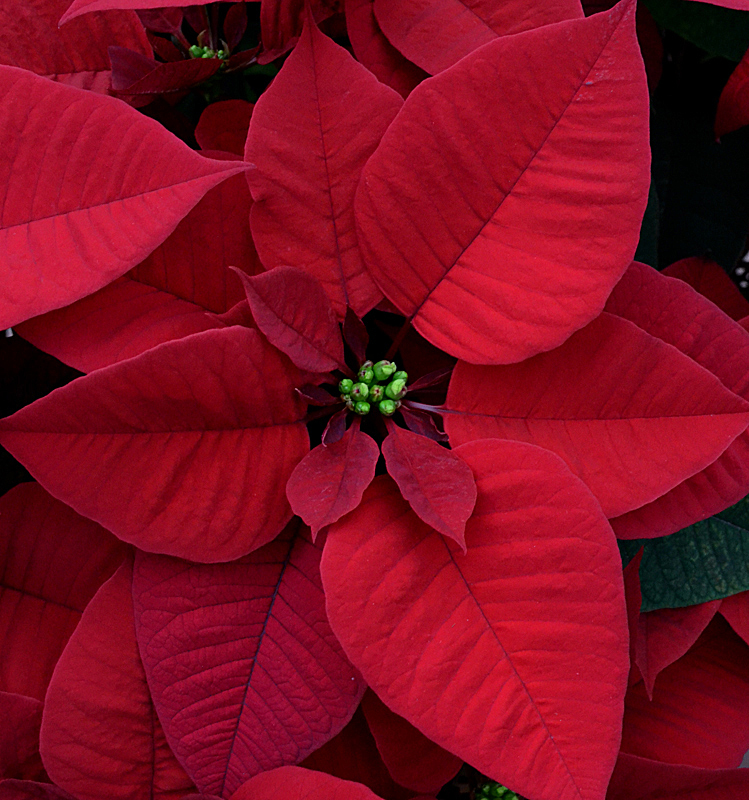 How do your poinsettias fare in your garden? Quite well! It is not in a place where it gets a ton of sun, but it has lots of green foliage & a little of the red hue (or whatever color poinsettia I got that year!) My parents go to FL for the winter & they grow as big as bushes outside there – pretty cool to see too. I remember seeing poinsettias outside and blooming during August in Hawaii. Very impressive. Linda, this sounds like a question for Master Gardeners. You can find the contact information here. I hope that helps.